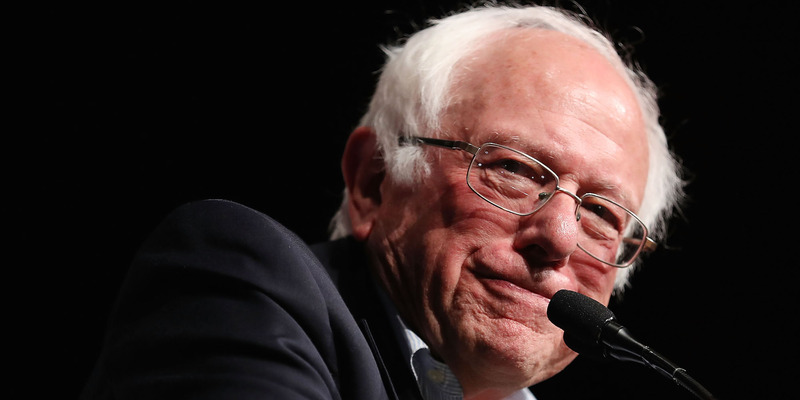 Sen. Bernie Sanders recently introduced the Stop Bezos Act, a bill targeting major corporations like Amazon whose workers receive government aid. Amazon on Tuesday announced plans to increase the minimum wage for its workers to $US15 an hour. Amazon’s shift means the Stop Bezos Act did what it was designed to do, even if it never becomes law. Sen. Bernie Sanders’ bill meant to go after Amazon and other large companies remains stuck in congressional limbo. The bill has not been brought up in any committee or received any hearing. But Amazon’s announcement Tuesday that the company would increase its minimum wage for all workers to $US15 an hour means Sanders has already won. Sanders’ bill, and the accompanying House version introduced by Democratic Rep. Ro Khanna, would impose an additional tax on companies that have workers who use public assistance like food stamps. The goal is to force employers to pay employees enough to keep them from needing public programs. Sanders’ bill, called the Stop Bad Employers by Zeroing Out Subsidies Act or, using an acronym, the Stop Bezos Act, took direct aim at Amazon CEO Jeff Bezos, the target of the senator’s months-long crusade against poor working conditions in the retail giant’s fulfillment centres. While both Sanders and Khanna made a ruckus about introducing the legislation, neither bill was necessarily meant to become law. Instead, they were designed to draw attention to Amazon and pressure the company to raise worker pay. The issue spawned debate among columnists, think tanks, economists, and political operatives, raising the profile of Sanders’ fight for better working conditions at Amazon. Message bills aren’t uncommon. Since 2005, only 2% to 4% of bills introduced in Congress in any given year have become law. Since 1974, the 100th Congress – which ran from 1987 through 1988 – holds the high-water mark for introduced bills that eventually became law, at 7%. Most of those nonstarter bills produce no results. For instance, Rep. Mike Rogers of Alabama has introduced a bill in each of the past 20 years that would pull the US out of the United Nations and any affiliated group. Even higher-profile message bills produce few meaningful results. The slew of Obamacare-repeal bills passed by the GOP-held Congress while President Barack Obama was in office sent a strong message. But when it came time to actually repeal and replace the healthcare law under President Donald Trump, Republicans balked. In contrast, Amazon indirectly cited the Sanders bill and resulting public-relations push as reasons for Tuesday’s announcement. Bezos even responded to Sanders on Twitter after the senator praised the company’s move.